It’s been just three years since I stepped out of tech and into the socially conscious space. The excitement of the community is reminiscent of the early days of the Web back in the 90’s. Everything seems possible at this stage. Everything feels fresh and new. Every once in a while, you bump into someone who has been working on social enterprise for 20+ years, who has been in the field helping entrepreneurs for over a decade, but none the less their excitement level is also high, and they too are looking for new solutions and new ideas. The tech ecosystem is fairly complicated down in the details, but at a high level rather simple. There are entrepreneurs, accelerators, Angels, and venture capitalists. A rather simple hierarchy of sources of funding and support as startups make their way from idea to IPO. The socially minded ecosystem is complicated at all levels. Down the depths, we have nonprofits, for-profits, and hybrid organizations. Foundations, family offices, donor advised funds, and a half dozen other forms of funders all compete with the accelerators, Angels, and venture capital. Add to that a mix of grants and investments, in a growing array of overlapping forms beyond just debt and equity. Trying to make sense of all of this are new tools, including Enable Impact, launched this year at SOCAP. One searchable database seeded with 1,600 funders, 730 programs, and 760 startups. If you are part of any of those and not yet listed, please do so now, to help create a map of the whole ecosystem. I spent all of Tuesday at a per-conference event, Accelerating the Accelerators, which brought together 40+ people who run 25+ incubators and accelerators around the world. I’ve talked to a handful of these people before, but this was my first time sitting at the same table with most of my peers (a.k.a. competition). Six hours provided quite a lot of learnings and insights, but biggest of which is that Fledge, my conscious company accelerator, is a little bit different than the others in form and function, in a way I think is better for the entrepreneurs. Specifically, we spent a bit of time mapping out the main focus of each of our programs. Nearly all have a primary focus on mentorship, working hard to match the right mentors to the right teams, leaving it to the mentors to drive the teams toward a viable business plan. At Fledge, we instead include a bespoke business planning curriculum as a core focus of the first half of our program, ensuring every entrepreneur receives a baseline of knowledge of business planning, for use in the not only the current plan, but all future plans as well. This is not unique to socially conscious accelerators, it was one of the areas I found missing in the tech accelerators too. The norm is to have a series of guest speakers talk to the teams. Many teams confided to me that at least half of those talks were a waste of time, and the other half didn’t mesh together to provide a cohesive set of lessons. Meanwhile, we are blessed with a plenitude of amazing mentors, and thus do not skip the mentorship by any means, but leave that resource to answer the specific needs of each team. But again, a bit differently, we don’t do much in the way of matching mentors and team, instead aiming for the “mentor whiplash” achieved at TechStars. In my opinion and experience, meeting 12 or 15 or 20 people in the first five weeks is usually more useful than having just one or two to talk to for 2, 6, or 12 months. This was the second year I ran a workshop on “Investing without Exits“. Last year I won that spot via the SOCAP Open. From the feedback last year I was able to simply ask for the speaking slot this year. Hopefully the feedback will be good again, as nothing helps make a good conference like contributing to the community directly. As I mentioned in the opening to this post, the conference includes two days with 11 simultaneous sessions. 83 sessions on Wednesday, 65 on Thursday, and 33 on Friday, plus at least a dozen after-hour parties. Being on the calendar in this form let me find and meet an extra dozen or so like minded impact investors and entrepreneurs. Plus it let me continue validating the revenue-based investing ideas I’ve been using and refining for the past 2+ years. This market is early, and we need more people trying to innovate in all areas, including the structure of impactful funding. My workshops seem to be helping in that effort, slowly. 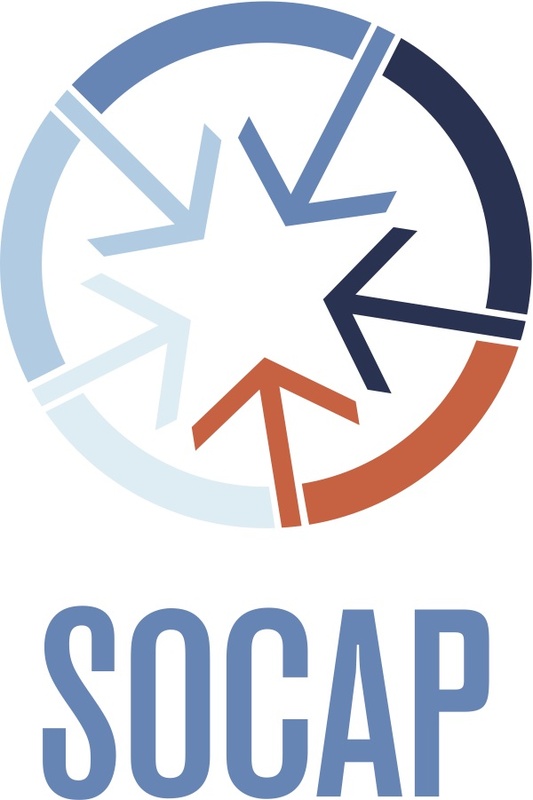 Last year was my first SOCAP, and I walked in with few expectations and very few meetings planned on my calendar. This year I tried to not book myself in back to back meetings, leaving the bulk of my time to serendipity. Both years, that was a winning strategy. I collected 45 business cards, 41 from people I’ve never met or talked to before. Of these, a dozen will likely continue as conversations in the coming months. Of those, if all goes like last year, a handful will turn into something fruitful. The biggest learning is one we all already know. When at an event like this, put your shyness aside, walk up to someone you don’t know, and say hello.